Maximum cooking power condensed into a bench top stove. 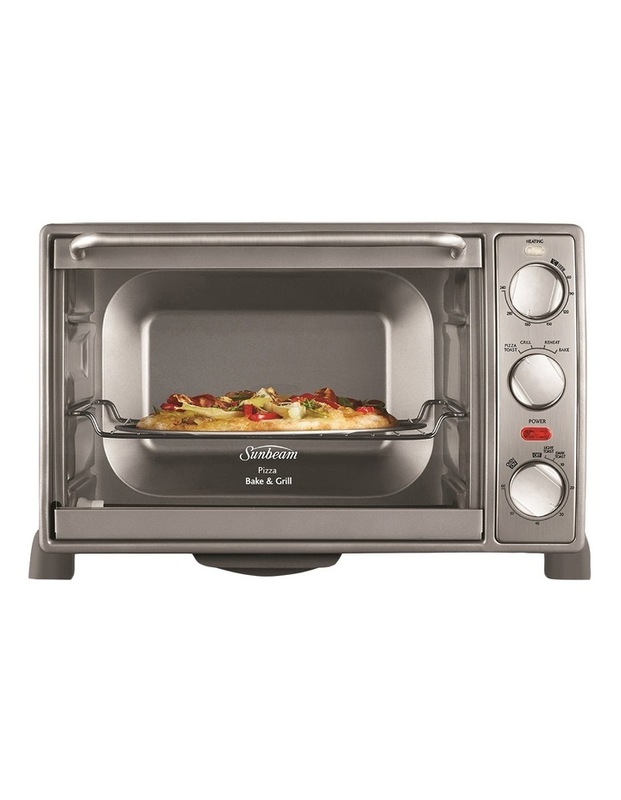 This versatile Sunbeam BT5350 Pizza Bake & Grill Oven can bake, roast, toast and grill. Its 19 litre capacity leaves plenty of room for family cooking. 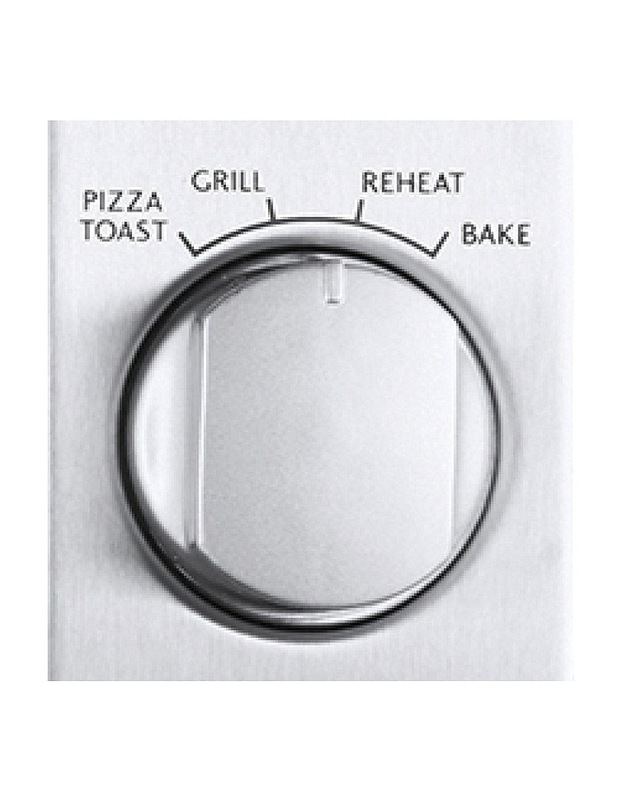 Can cook pizzas up to 30cm, toast bread, and bake cakes. Also features a Keep-warm function. 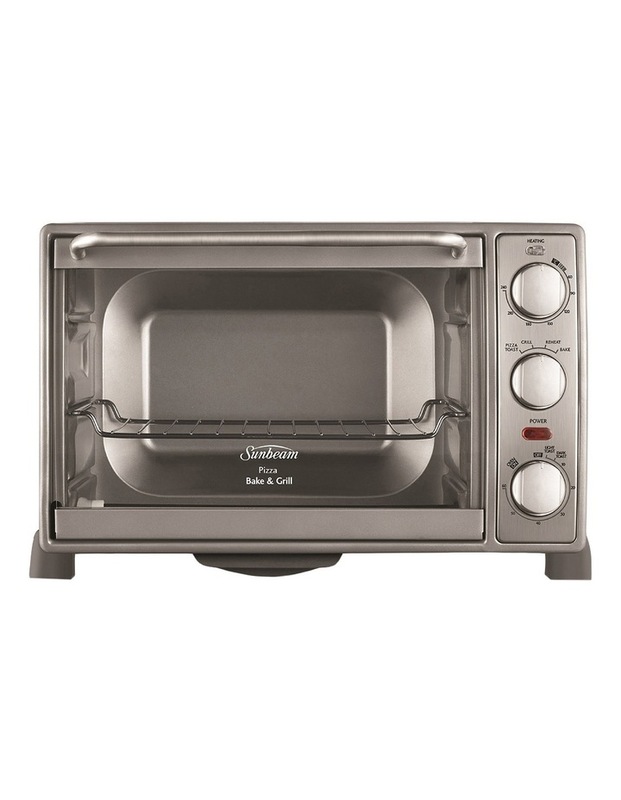 With a variable temperature control up to 240C, this oven also has a 60 minute timer for automatic shut-off, and cooking setting. Other features include stainless steel housing and additional accessories such as a pizza tray, enamel baking pan, enamel drip tray, reversible wire rack, and crumb tray. includes 12 month replacement warranty.